Pilot and Flying J Travel Centers offers up new Cinnamon French Toast Sausage Bites as a breakfast/snack item. 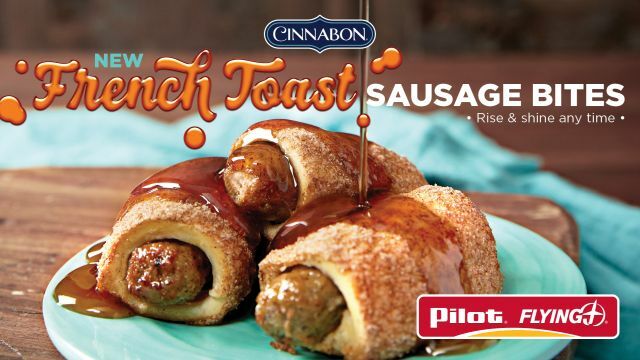 The limited-time menu item features sausage wrapped in fluffy, Cinnabon-inspired dough and then rolled in Cinnabon French toast seasoning and served with a side of maple syrup. The price comes out to $3.09 for three bites and $4.29 for five bites.